The United States is vast. There is so much to explore. I got together with a bunch of other bloggers to find out what the best lakes in the USA were, according to them! As an outdoor enthusiast, I love sharing my favorites, as well as searching out new places where get my fishing kayak out on the water. 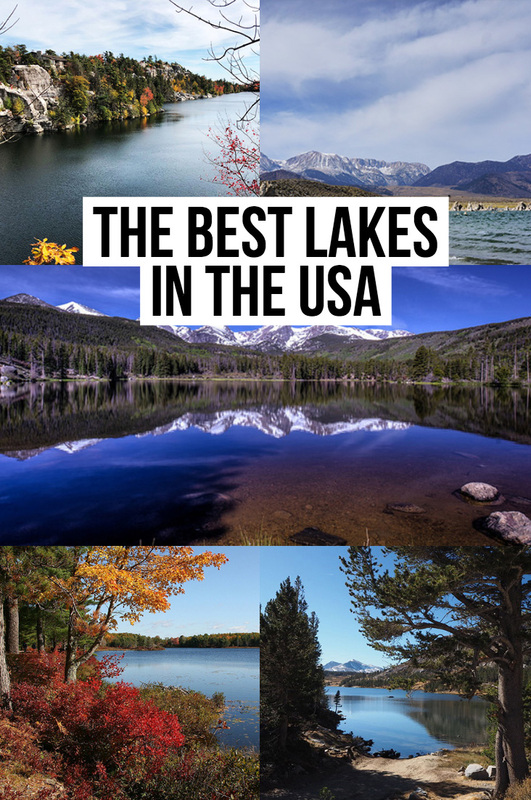 I have put together a list of the best lakes in the US and hope you find some new places to search out after having a read! 1.13 Eagle Lake at Acadia National Park, Maine. 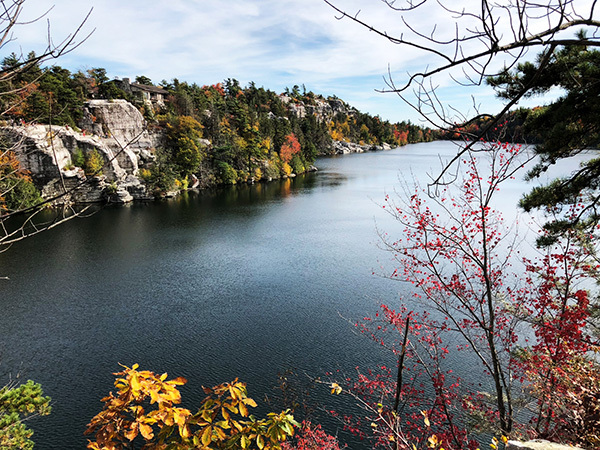 I love Minnewaska Lake in New York’s Hudson Valley, about a 2-hour drive north of New York City. It’s a fairly small lake – you can hike around it in about an hour – but it is incredibly beautiful. 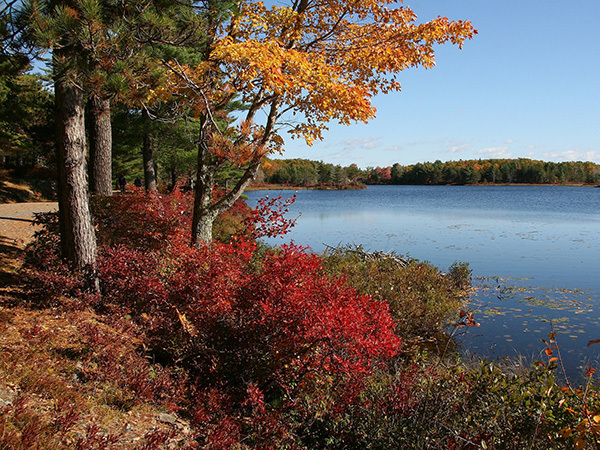 In spring, pink laurel bushes are scattered colorfully around the lake and in fall, the trees are a blaze of reds, oranges and yellows. In summer, there is a small beach for swimming – perfect for families – and at the other end of the lake, you can register for long-distance swimming. On one side of the lake, there are dramatic cliffs, which give incredible views over the lake. Boating is permitted in summer, and there is even organized SCUBA diving here! This small lake really has something for everyone. When you travel around the US and Canada in an RV for 17 months, you see plenty of beautiful lakes. That was absolutely our experience during our travels, but there is one lake in particular that stands out as our favorite American lake. 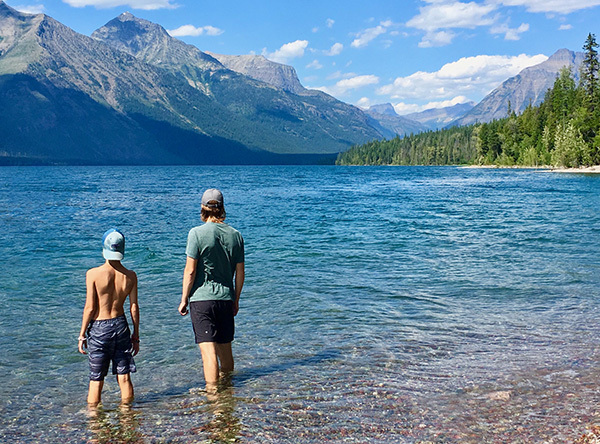 Lake McDonald is a jaw-dropping, bone-chilling, crystal clear beauty nestled among majestic Rocky Mountain peaks in Glacier National Park, Montana. This park is at the top of my list of US National Parks to visit, and this lake is the first must-see feature within the park. I can pretty much guarantee that you have not seen clearer water than you will find here, and this clear water allows you to appreciate the smooth, multi-colored stones that decorate the shore and lake bottom. It is simply a masterpiece in the middle of a natural wonderland. Get yourself a permit from the ranger station and spend the morning kayaking out on this lake. I guarantee you will not want to leave. I also guarantee that you will not leave unchanged. If you are looking for a portable kayak, consider buying the best inflatable kayak that will fit right in your trunk! 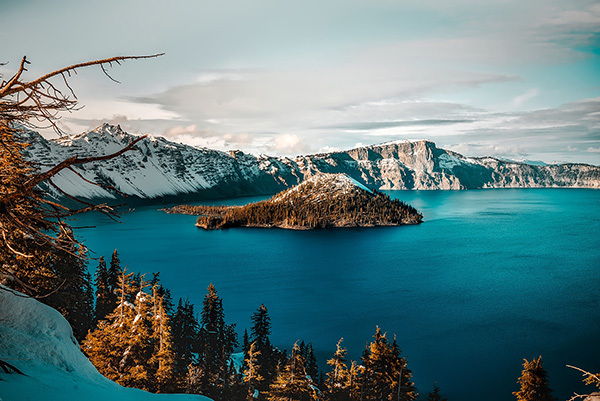 My favorite lake in the U.S. is Crater Lake, located in Southern Oregon, in Crater Lake National Park, which is West of I-97 between Bend and Klamath Falls. I visited Crater Lake for the first time in 2006. It is unlike any other lake in the country, and by far, one of the most astonishing and moving natural wonders I’ve seen. What makes it so special to me is its unblemished wilderness. There are no water-skiers or speed-boats. There aren’t any bikinis on the beach. It’s a geological wonder in it’s purest form. The lake itself is located on the remains of a destroyed volcano, once known as Mount Mazama. A volcanic eruption created a caldera, which is now Crater Lake – which is almost 2000 feet deep! It’s the deepest lake in the U.S.
Access to the lakeshore requires a steep hike down the side of the caldera, and not something I was prepared for when I was there, so I missed out. You can believe it’s on my bucket list for next time. There are no roads with access to the waterfront because it is so steep. Any boats there have to be delivered by helicopter. So this is a NOT a place for watersports. Unlicensed fishing, however, is allowed, without any limitations. A ferry from the lakeshore can take you to Wizard Island, a cinder cone in the center of the lake. The views are incredible – photography doesn’t do it justice. This is one that has to be seen to be believed! Tenaya Lake is a pretty alpine lake in the high country area of Yosemite National Park. We discovered Tenaya Lake on our US West Coast Road Trip. The scenery around the lake is spectacular, with enormous granite domes rising up around it. We loved the lake for its isolated beauty, pristine environment and dramatic mountain scenery. If you love to explore, it is possible to walk the 4km loop around lake. There are also a number of longer and more difficult hikes that start from the Cathedral Lakes trailhead nearby. There are plenty of picnic spots around the lake and you can even go for a swim if you are brave enough! We watched in envy as a couple set off in a canoe across the lake. 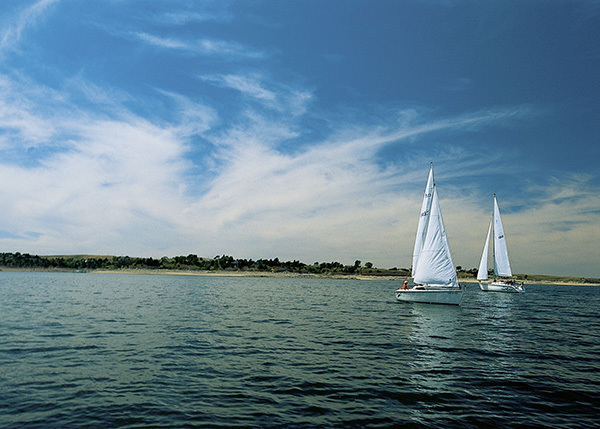 It is possible to kayak, sail and canoe on the lake, but motorized boats are not permitted. Access to Tenaya Lake is via Tioga Pass Road and is accessible when the road is open, usually from May to October. There are number of parking locations and a few summer campsites along the way. Accommodation is available at Toulumne Meadows for a longer stay. 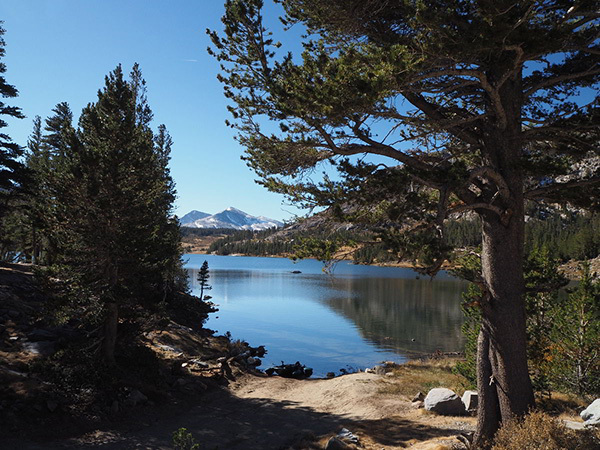 If you are staying in Yosemite we recommend you plan at least one full day to enjoy the scenic views along the Tioga Pass and plan time for a walk or paddle on the lake. Mono Lake, an ancient body of water formed 760,000 years ago as a terminal lake, is one of the most unique places to visit in California. 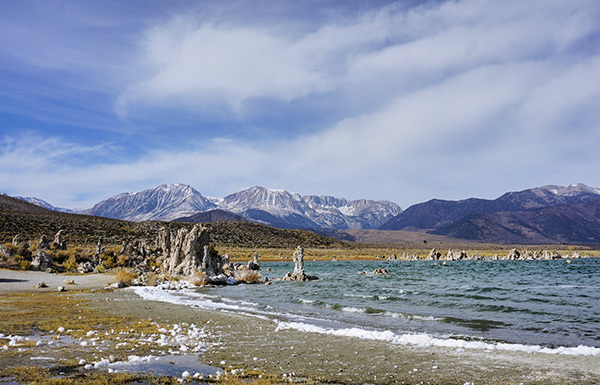 The lake is located in the Eastern Sierra area, close to one of the entrances to Yosemite National Park, 30 miles from Mammoth Lakes and 110 miles from Lake Tahoe. Due to the size of the lake (approx. 70 square miles), there are plenty of things to do around. I recommend you start exploring the South Tufa Area. Tufa forms under Mono Lake’s waters. 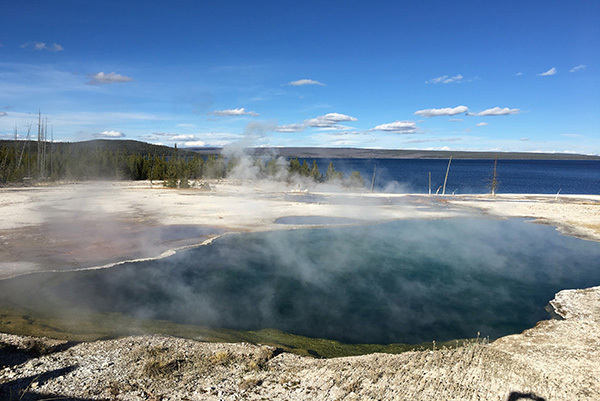 When freshwater springs rich in calcium bubble up through the carbonate-rich lake water, the calcium, and carbonates react to form a salt deposit. This solid, limestone-like material continues to develop, eventually forming towers. At the reserve, visitors can observe towers that have been uncovered due to low water levels. This is a landscape difficult to find anywhere in the world. You can continue your tour by learning more about this ecosystem at the Mono Basin Scenic Area Visitor Center. In addition, you can rent kayaks (across the Tioga Lodge) or take a closer look at the lake’s islands from Black Point. Services are found at Lee Vining, June Lake or Mammoth Lakes. White sand beaches, over 100 miles of stretching beach line, depths that can reach up to 140+ feet deep and rated in the top 100 places to fish and boat in the US. Instead, I’m talking about the hidden gem right in the middle of the United States: Lake McConaughy near Western Nebraska. “Lake Mac,” as the locals call it, is actually not far from the Colorado border or is just a few hours from Nebraska’s largest city, Omaha. Most people are shocked to hear that you can surf, sail, windsurf, water ski and even scuba dive, yes, scuba dive in land locked Nebraska! 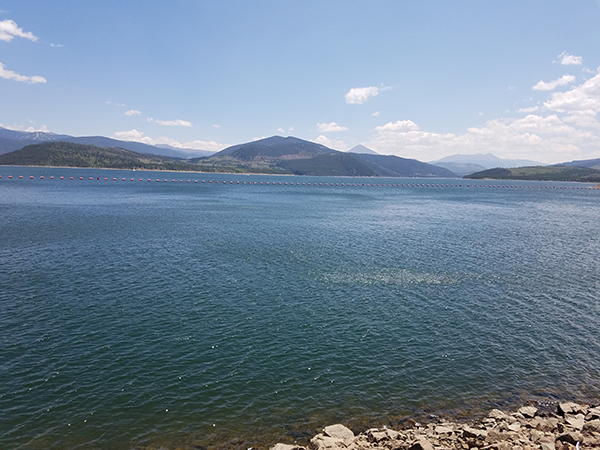 Of course other great lake activities like camping, hiking, fishing, kayaking, jet skiing and more can also be done at this enormous reservoir. And since most people overlook a place like Nebraska for tourism, that means that you don’t get a packed location and get a truly local experience! Visiting with the Kids? Perhaps you are looking for a kids kayak? Check out this guide. 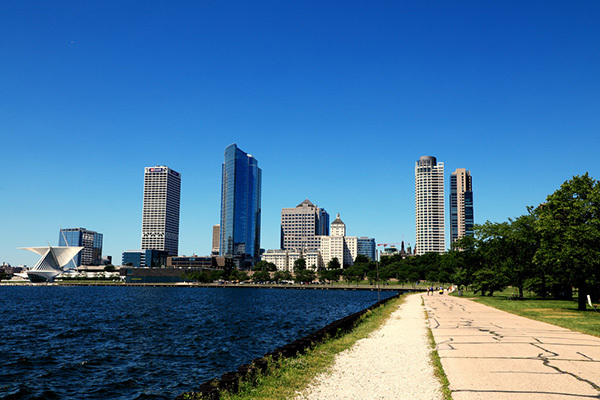 Lake Michigan is the second largest of the Great Lakes, and it provides great activities all year long. We visited from the west side of the lake in Milwaukee. This city has incorporated events on the lakeshore year-round, starting on the very first day of the year with their Annual Polar Bear Plunge, which is not for the faint of heart. No matter what season you visit, you can rent a quad bike to pedal, hike, run, fly a kite, and do a multitude of water activities from learning how to sail to paddle-boarding and swimming. There is no end to the fun. Submitted by Mary Beth from MB Sees. My favorite American lake is actually a chain of lakes – the Three Lakes Chain in Wisconsin. About two hours north of Green Bay, the Three Lakes Chain is actually part of the larger Eagle River-Three Lakes chain of lakes. And here’s a fun fact for you – it’s the largest chain of freshwater lakes not only in the US, but in the world! 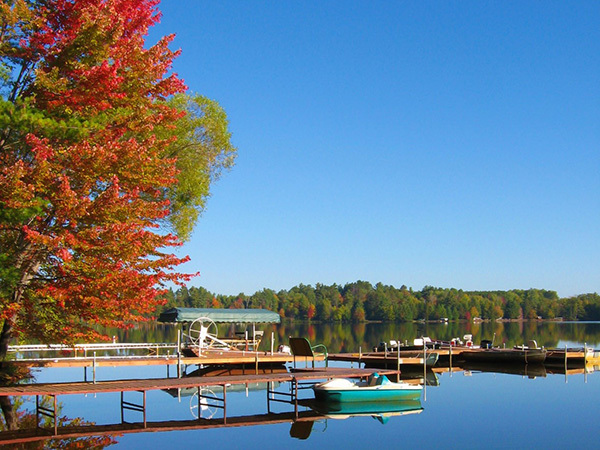 Three Lakes makes for a relaxing getaway, and is especially beautiful in the fall. It’s a midwest angler’s paradise that also offers hiking, biking, snowmobiling (in winter), and any other outdoor activity you could want. My most recent trip there was spent fishing and kayaking by day and curled up in a cozy cabin by night. The mornings were still and quiet, the leaves were turning brilliant red, and the evenings were crisp and star-filled. Imagine this early-morning scene: it’s 50 degrees, you’re sitting at the lake’s edge with a hot coffee in-hand, staring at water that looks like glass. Yeah… that was me! If you are looking for a new lifejacket for kayaking, you can check out my comparison guide here: The Best Lifejacket Review Guide. The waters of Lake Tahoe are crystal clear and the most amazing shades of tropical blue you may have ever seen in the mountains. In the summer, the beautiful lake is just warm enough to go for a swim in the still chilly water. Lake Tahoe is located near South Lake Tahoe, Tahoe City, Stateline and Incline Village. It is surrounded by gorgeous fall foliage in the autumn and by wildflowers and gushing waterfalls in the spring. In the winter, the sand is replaced by snow and the surrounding white-capped mountains covered in skiers turn the area into a winter wonderland. The lake measures 72 miles around offering multiple beaches, hikes, and small villages to explore. Several beaches offer swimming and kayaking; Meeks Bay, Sand Harbor, and Emerald Bay are just a few popular options. Jet skis, paddle boards, water skis, kids kayaks and windsurfing are also available. There is also the M.S. Dixie that departs from Zephyr cove and offers a lunch cruise around the lake. 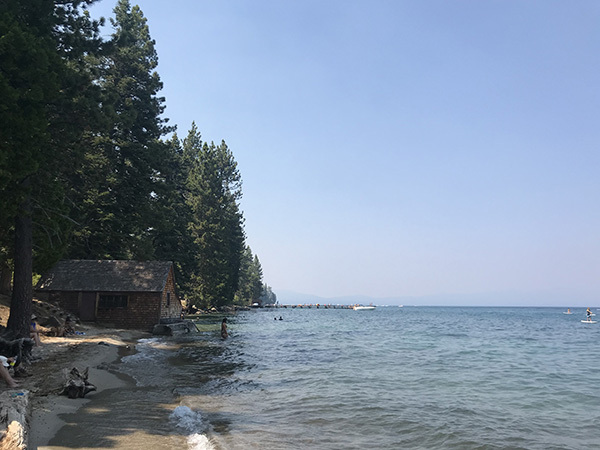 No matter the season, the incredibly clean and clear Lake Tahoe offers gorgeous waters and stunning vistas that are not to be missed. Where we live in the Greater Yellowstone Area, there are a lot of beautiful lakes. Alpine lakes surrounded by flowers in the summer and snow in winter; valley lakes where we stand up paddleboard and ice skate; and the greatest lake of them all – Yellowstone Lake. Yellowstone Lake is the largest alpine lake (over 7,000 feet) in the United States. It has 136 square miles of surface area and 110 miles of shoreline. Its deepest spot is more than 390 feet. Being big isn’t all that makes Yellowstone Lake so wonderful. Craggy mountains surround it and hot springs dot some of its shoreline. The lake is really cold, so swimming isn’t advised, but kayaking, fishing, and boating are all popular. One of my favorite things to so is walk around West Thumb Geyser Basin where the blue lake makes a lovely backdrop for colorful hot springs. Or to picnic on the beach behind the Fishing Bridge Visitor Center. The Lake Hotel is another lovely spot to gaze out at the lake from the lobby while drinking a glass of wine and listening to piano music. You really can’t go wrong exploring Yellowstone Lake. If you are looking for a gift for the fisherman in your life, consider a pair of the best fishing pliers. With over 10,000 lakes to choose from in Minnesota, we can’t narrow our favorite down to just one. But one lake routinely delivers great recreation and scenery: Mille Lacs. 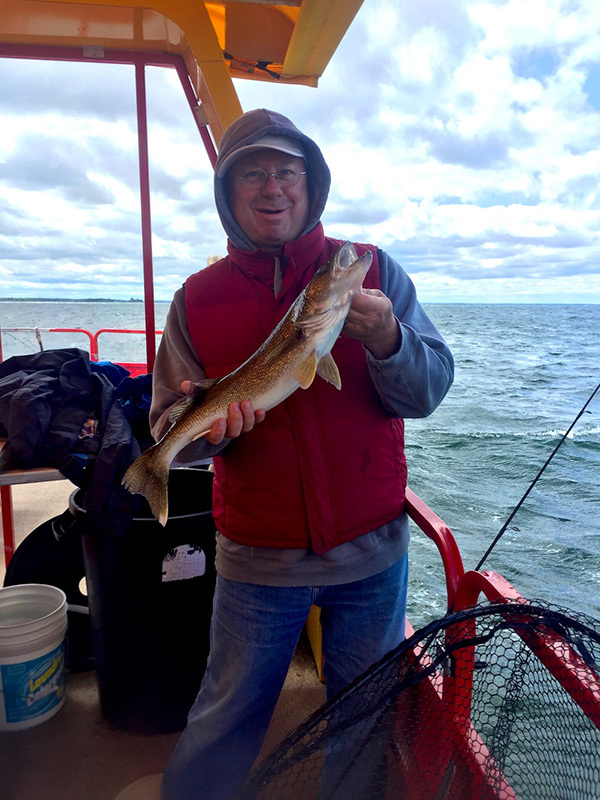 An easy drive north of the Twin Cities, Mille Lacs is a popular destination in Minnesota during all seasons for anglers and vacationers. It is here that the long-held tradition of a cabin on the lake is elevated to an entirely new level. No worries if you aren’t lucky enough to own one: there are resorts a-plenty offering amenities and experiences for the entire family. Drop a line in and see what bites! We’ve fished for walleye, bass and the elusive muskie with great success. Mille Lacs is also noted for great ice fishing – its shallow waters freeze quickly and offer up this uniquely Minnesotan activity early each season. My favorite lake to go to is Dillon Reservoir. 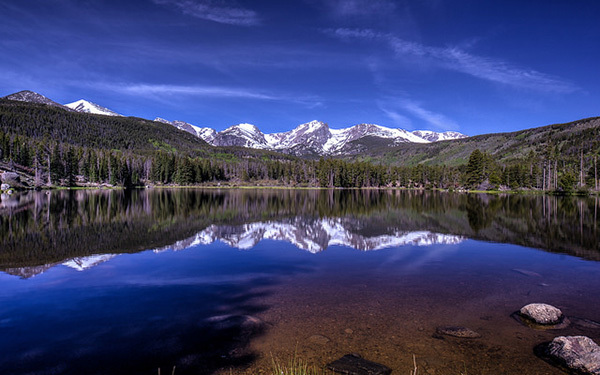 It’s located in Frisco, Colorado. It’s about 15 minutes from Breckenridge, which is a very popular town to go skiing during the winter. Dillon Reservoir has a beautiful walk/bike path going around the whole lake. I liked taking my baby for a walk because the path is smooth and great for a stroller. She loved watching the boats sailing and we even saw some fishes! There are a lot of beaches where you can walk all the way to the water and go swimming. Although the water was freezing when I was there, I did see a lot of kids playing in the water. The lake has a full-service marina. You can rent canoes, sailing boats, fishing boats, kayaks or stand up paddle boats. The marina also rents fishing poles and does fishing tours. If you have kids, there is a fun Marina Park that has kids playground right by the beach. Eagle Lake at Acadia National Park, Maine. Eagle Lake is the largest lake in Acadia National Park, located on Maine’s Mount Desert Island near Bar Harbor. I love it because of its beautiful location, and picturesque views available from Cadillac Mountain’s western observation area- head to Cadillac Mountain at sunrise or sunset for spectacular views. Make sure to take your camera with you! Another reason I love Eagle Lake is that it’s pet-friendly- you can take your dog with you when visiting Eagle Lake and other parts of Acadia National Park. The lake is a great for those who love outdoor activities. You can bike along a 6 mile stretch around the lake, or if you like water activities, there are canoes and kayaks available to rent, or you can bring your own! For those who love fishing, the lake is stocked with salmon and trout but make sure you organize a fishing licence for anyone aged 12 and over. Jackson Lake is located in Grand Teton National Park in northwestern Wyoming. 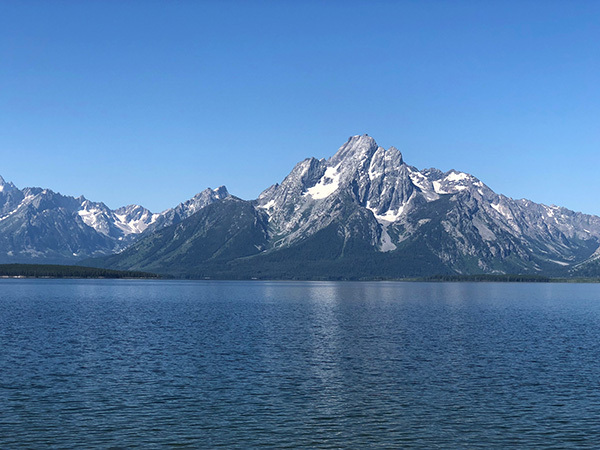 It is a gorgeous blue lake amidst the backdrop of the majestic Grand Teton mountains. We loved hiking around Jackson Lake during our summer trip and taking pictures from different viewpoints. Jackson Lake is a very popular outdoor destination in the summer months. Visitors can hike around the lake, rent a boat, kayak, camp on one of the 15 islands, go fishing or cool off in its’ waters. Walking on the shores of this lake and admiring the mountains was absolutely breathtaking. I hope to visit my new favorite lake sometime in the near future. Sprague Lake in the Rocky Mountains is a landscape photographers dream. My dad and I had the chance to visit this wonderful lake one summer while touring the Rocky Mountain National Park and we definitely weren’t disappointed. The morning light and reflections make for the most wonderful pictures and the peaks in the background typically have snow which makes it extra spectacular. Other fun things to do around the lake is hiking, birdwatching, picnicking and just enjoying the calming power of Nature. I would imagine you could swim in this lake but the icy water maybe too intimidating for most. If you’re a photographer, I recommend getting there pre-sunrise to capitalize on the best lighting and to beat any crowds that may show up later in the day. 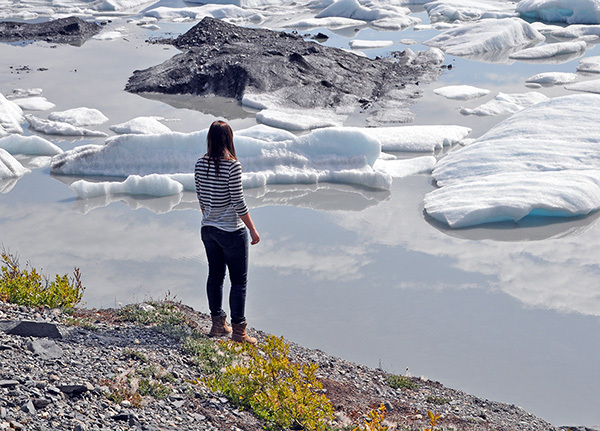 Knik Glacier is one of the easiest accessible glacier areas from Anchorage, the main gateway into Alaska. From the city you can reach Knik River Road by car in about one hour and from here, you can board an airboat that will take you to the lake which is usually filled with icebergs that calved off Knik Glacier. The duration of the boat ride will depend on the water level but can be anywhere between 30 minutes to one hour. There are no facilities but an outhouse at Knik Glacier however you don’t need any more. The tour will take half a day and you will get to spend a few hours at the glacier, admiring the icebergs. It’s truly spectacular when one turns around, the forces of nature truly come alive when this happens. My suggestion is to sit down, close your eyes and listen to the ice moving, it can be an exhilarating experience even if you are not moving. You will never forget what glaciers and ice sound like after this. Do you have a favorite lake in the USA that is not listed? I would love to hear about it! Anything that involves getting into my fishing kayak and out on the water with my dog makes me happy! If you liked this list, please pin this to share it with others!